National Award winning producer-director duo of Maneesh Sharma and Sharath Kataria, the team that won hearts with their first collaboration Dum Laga Ke Haisha are set to present their next – a big ticket YRF entertainer Sui Dhaaga – Made in India. The film has done a casting coup as it brings together two of the most exciting superstars of today Varun Dhawan and Anushka Sharma to pair up for the first time ever! Their pairing is already being hailed as the most awaited and freshest Jodi to hit the screen this year. 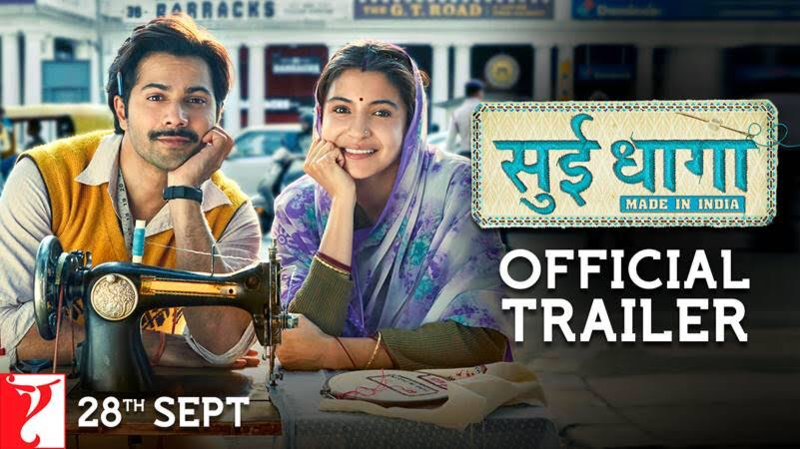 We have to say the sneak peek of Anushka and Varun’s brilliant performances are what make Sui Dhaaga so interesting and we can’t wait to see more!